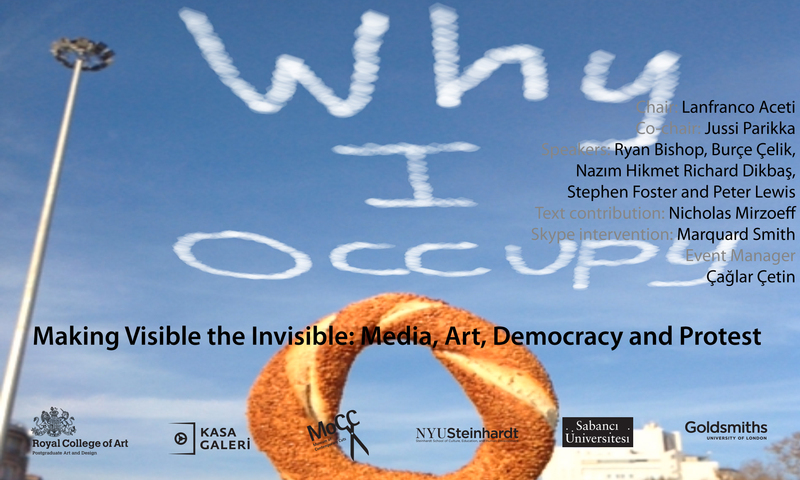 Making Visible the Invisible: Media, Art, Democracy and Protest is the title of a panel at Kasa Gallery, Friday November 15, 2013, at 5pm that precedes the opening of the exhibition I Occupy. The panel and the exhibition are inspired by “Why I Occupy,” a text by Nicholas Mirzoeff - Professor at NYU -, and analyze the inheritance of the Occupy Wall Street movement and the contemporary relationship between community, art, politics and economics. Prof. Mirzoeff has produced a video reading of his seminal essay with a new updated commentary, exclusively for Kasa Gallery.